OH, MY MEOWS and PURRS! This is really cool! Have you ever heard about cat cafes? In my readings of emails, magazines, and various cat websites, I have heard of them but never visited. HISS! Paws! I received an email this week from a human named Kristen Reynolds who is working to open a Cat Cafe in Centreville, VA. I’m pawingly excited to learn about this! I can see it now, purrs, I will go there and enjoy a cup or two of Catnip Tea or maybe the bestest in fresh spring water and the bestest in cat treats, while looking at the most beautiful artwork or going through a highly curated selection of highly curated vinyl records. Well, maybe not quite all that but I can dream, right? Paws, but why am I dreaming? Meows! 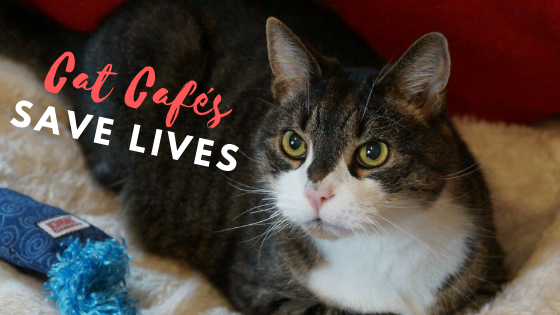 Purrs, Kristen Reynolds, a pawsome animal rescue volunteer and local artist, has teamed up with Paws For Seniors to open a cat cafe in Centreville, VA. MEOWS! Purr, purr, purr, it will be called Catfe Diem which is planning to open in Fall 2019! 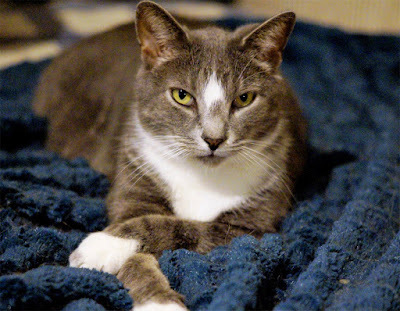 Paws for Seniors, a Bealton, VA based 501(c)3 nonprofit rescue organization specializing in placing senior pets into "Forever Homes" will provide adoptable cats. 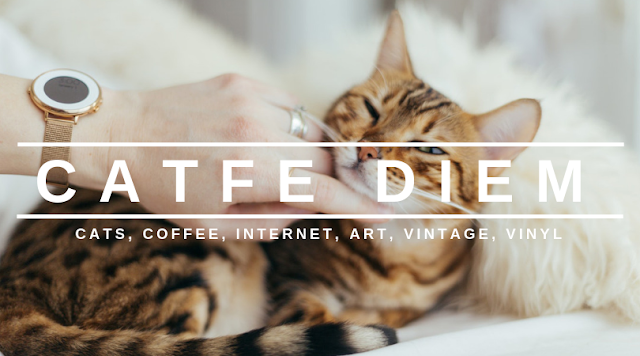 MEOWS, along with serving as a shared workspace, with furry companions to make working so much more pawsome, they are planning to have a coffee bar, a highly curated selection of vinyl records, vintage items, original artwork, as well as Catfe Diem themed merchandise! Purrs- I know I’m going to go visit when they open! Paws. Purrs, Kristen has been volunteering with rescue organizations since 2007! She started out by volunteering to walk dogs and cleaning cages at a local shelter. In 2008, she volunteered with a more cat-focused rescue organization in Manassas, VA where she fostered kittens and cats! In April 2018, she got involved with Paws for Seniors. Paws, the idea came to her after visiting a cat cafe on a business trip. The experience created a contagious enthusiasm for the new venture! "It was kind of like an ah-ha moment when I introduced this idea to my husband. Kickstarter: Catfe Diem, Cat Cafe and Record Shop. Paws, this is an all or nothing project meaning they must have all funding by February 7, 2019! The goal is $25,000! Meows, this will be so cool- I can sneak away from my crazy dog brother and get some time alone with fellow cats- Purrs!